After an absence of 134 years, wolves are settling down in Austria once again. 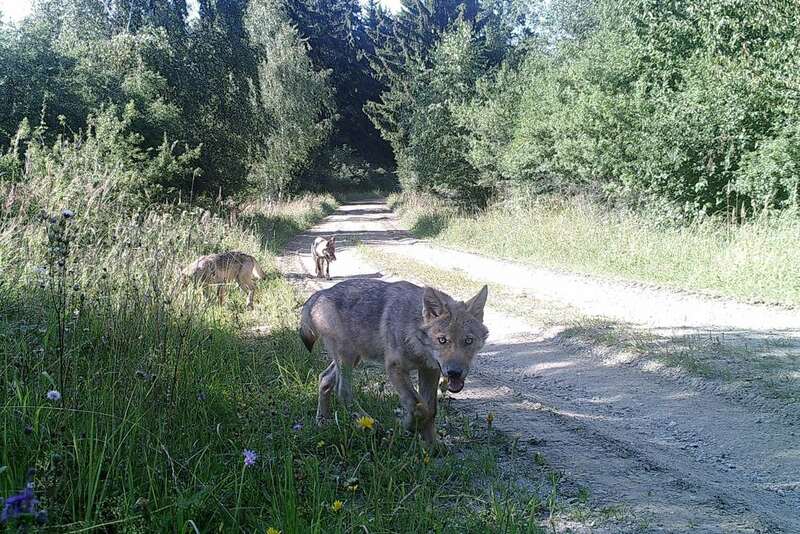 Camera traps set up in the Allentsteig military training area in Austria's northeasternmost state have captured snapshots of a wolf family: a wolf pair and two pups. The youngsters are the first to be born in the country since the last wolf disappeared in 1882, says WWF Austria. Since 2008, several wolves have made appearances within Austrian borders, but these have been migrants from elsewhere – places like Italy, Slovenia and Switzerland – searching for new territory. These visitors sometimes left telltale signs of their presence (like deer carcasses), but they never stayed. Until now. 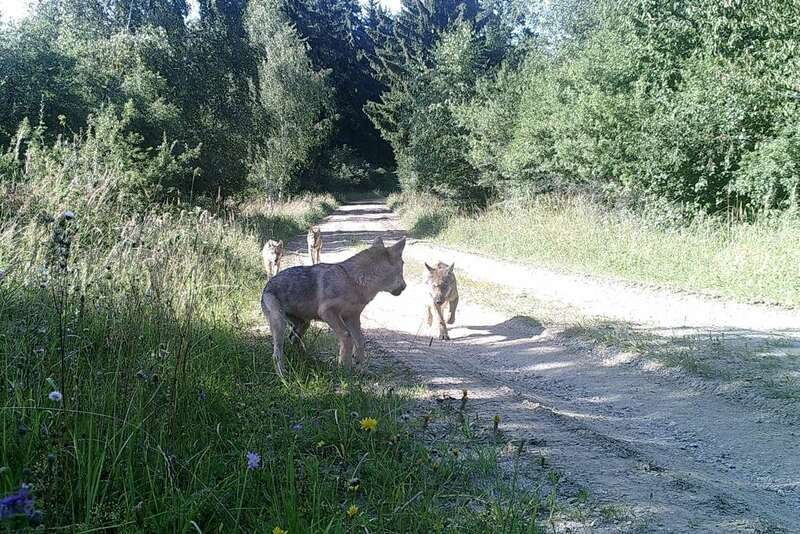 Conservationists suspect the parents of the young pups found their way here from the Lusatia region of Central Europe, and they appear comfortable in their new location. Since the average wolf pack has between four and six members, it's also possible that other individuals have yet to be spotted. A military training area might seem like an unusual home for a wolf pack, but this large, forested site has everything the predators might need. A big section of Allentsteig's 15,000 hectares is protected, and home to plenty of other wildlife. "Four-fifths of our area accounts for the Natura 2000 protected area. We are trying to balance the demands of nature with the needs of the military," says Johann Zach, a spokesperson for Allentsteig. 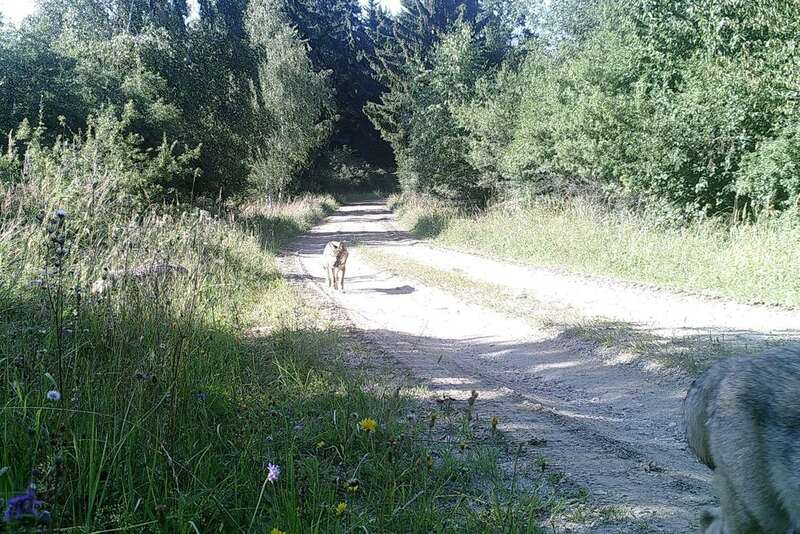 "You have plenty of space and also a large food supply with roe deer, deer and wild sheep here." The young wolves in the photographs are around four months old, and if all goes well, they'll remain with their parents for two years, before forging out on their own to form new packs. WWF ecologist Pichler also emphasises that wolves are not a danger to humans; the animals are wary of people and encountering them is rare. "If you see a wolf, enjoy it. It is a unique experience," he says. Responses to "First Wolf Pack In Austria For the First Time In Over 100 Years "
Mosy excellent. I hope people don't kill them.